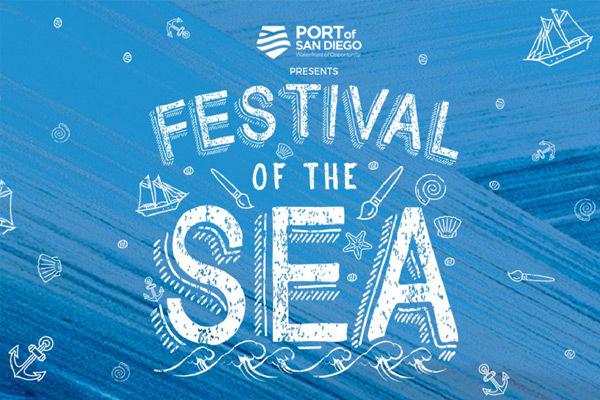 Maritime Museum of San Diego, home to one of the world’s finest collections of historic vessels, exhibits, and on-the-water adventure guest experiences, will host the region’s first annual Port of San Diego Festival of the Sea on Memorial Day weekend, Saturday through Monday, May 25-27, 2019. Festival of the Sea, produced by the Maritime Museum and sponsored by the Port of San Diego, is one of the keynote events that will take place during 2019 in celebration of the 250th Anniversary of San Diego as the first European settlement on the West Coast. Taking place aboard several of the historic vessels of the Maritime Museum of San Diego and on the adjacent scenic North Embarcadero region of downtown San Diego, the festivities will include artist exhibitions, educational fun for children, daytime harbor cruises, tall ship gun battles on San Diego Bay, sunset sailing, movie nights, live entertainment, and a dockside on-deck pub. The new Festival of the Sea will be an opportunity for guests of all ages to visit the Maritime Museum for a weekend of waterfront celebration for our community to share a passion for the sea. Festival of the Sea celebration is Memorial Day weekend, May 25-27, 2019. Event Price: $18.00; General Admission Tickets range from $8 for ages 3-12 up to $18.00 for adults. Festival of Sea activities and entertainment additional. Details and pricing to be posted at sdmaritime.org.